A few weeks ago I came across something that caught my eye on the Facebook page of a Finnish pirate enthusiast. 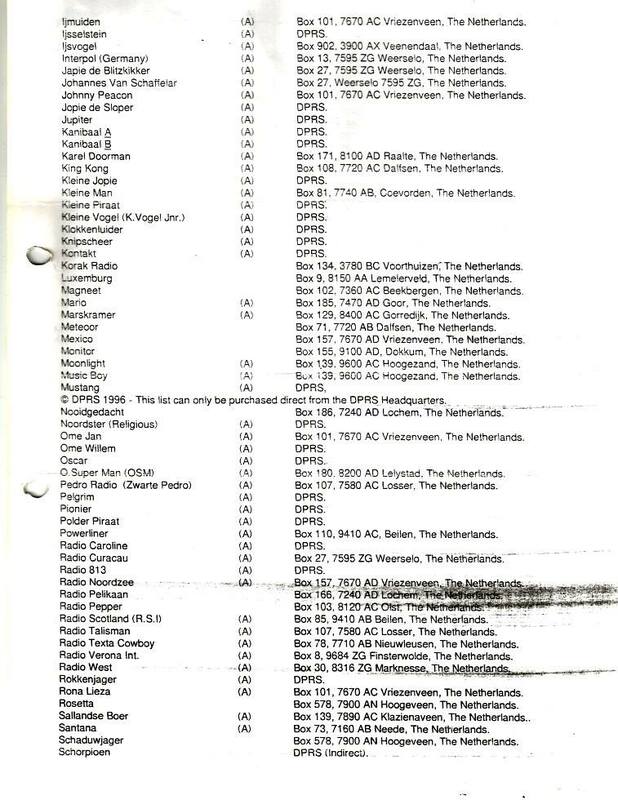 It was a bulletin from the Dutch Pirate Radio Service from the mid-1990s. The DPRS was run from Preston in the north-west of England by Derek Taylor, a fanatic of the Dutch pirate scene who knew everybody and everything. 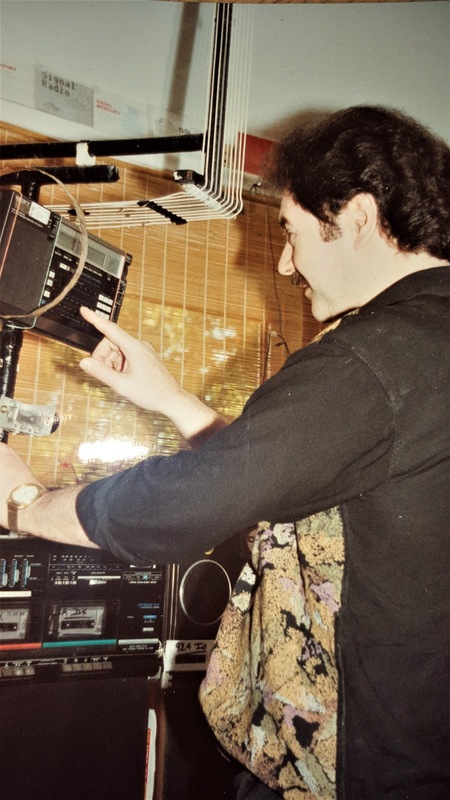 If you had a question about free radio from across the North Sea, Derek was your man. He even once appeared on the Radio Netherlands show Media Network talking about his pirate passion. 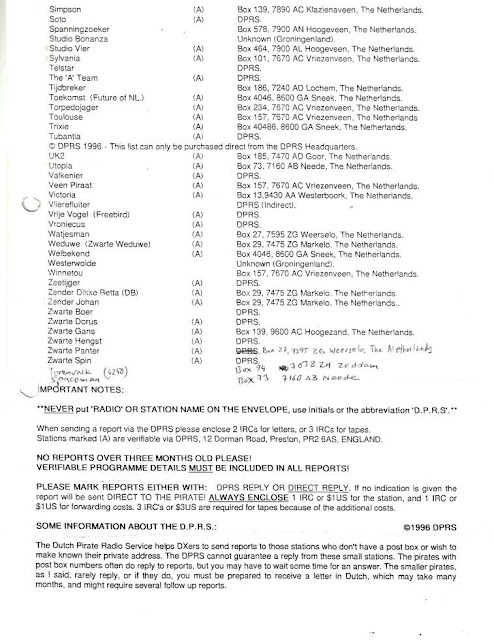 As well as running the DPRS, which put listeners in touch with the pirates and even sent out qsls on behalf of the stations who did not acknowledge reception reports, Derek also offered his address for letters connected with my Pirate Chat magazine. I met Derek several times and even spent a day at Blackpool with him and Dutch MW pirate Technical Man about 20 years ago. I can remember sitting in a bar on the Pleasure Beach talking about all things radio and also playing some of the slot machines on the Golden Mile. I still have some photos of us all somewhere. Derek suddenly disappeared from the scene some years ago and nobody has managed to get in touch with him. I know that Radio Barones, for one, has called various numbers but with no success. Perhaps he will reappear at some point. Radio seems to be like that... people come and go but often come back again. And that was what I thought as I read through his bulletin from July 1996. 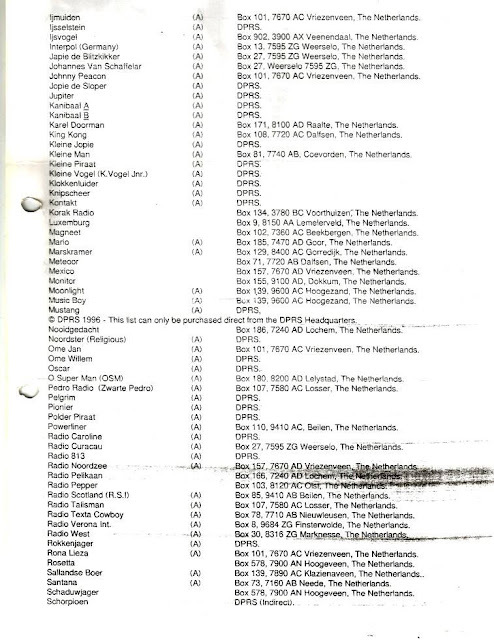 Have a look yourself and you will see many names from the pirate scene who are still going strong today. 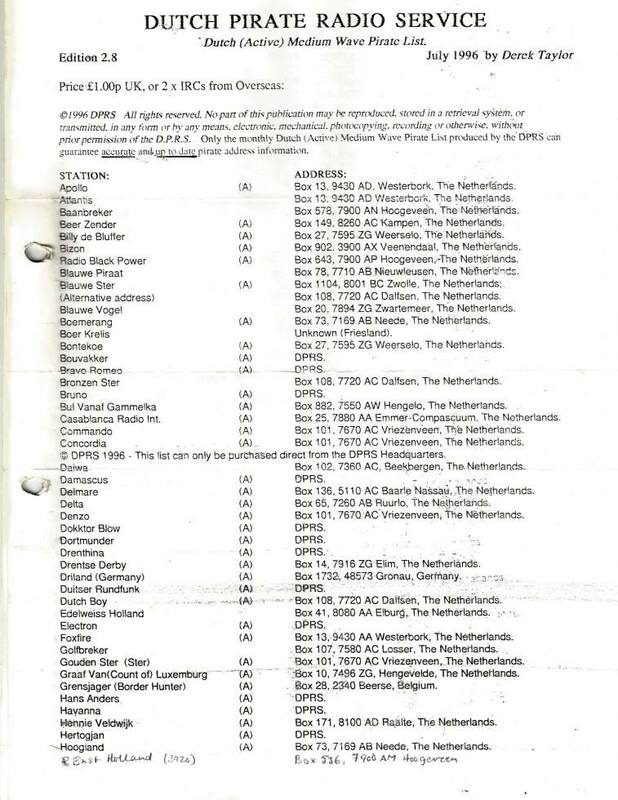 Stations like Blauwe Piraat, Blauwe Ster, Driland, Electron, Noordzee, Scotland can still be heard. Some are no longer with us having sadly died - stations like Nooitgedacht, Tijdbreker and Pelikaan - three stalwarts from the Acterhoek who would regularly be heard back in the day. Some stations have gone from the radar, but perhaps they will be back. I had a bit of a blast from the past myself on Sunday morning when I was tuning around at about 0730 local time and heard Radio Curacau for the first time in several years. When I first became interested in the hobby in the early 1990s he was a regular on the band but I have heard him on only one other occasion since I starting listening to the pirates again in 2011 after a lengthy break. It's great when these stations pop up on the band... a reminder of yesteryear, a voice that you had forgotten that you know again in an instant. Time for my latest logs. 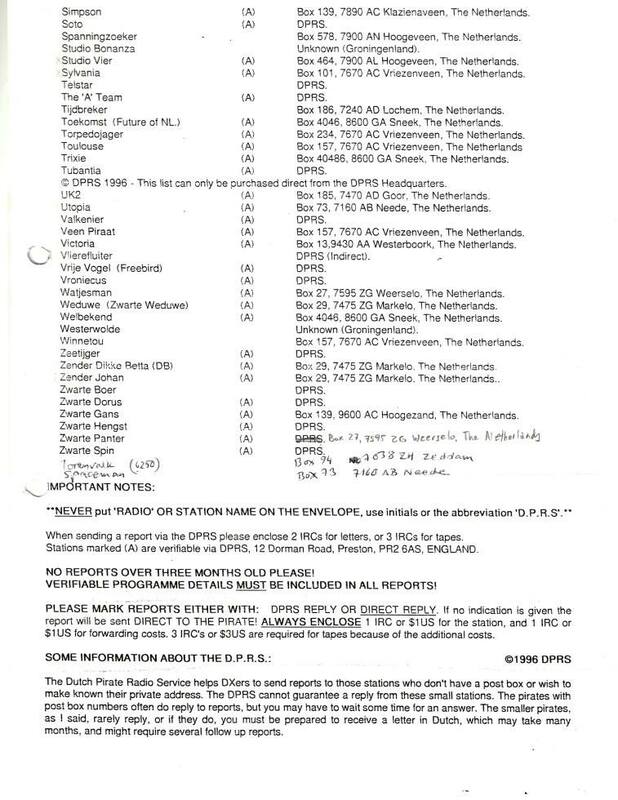 Have a look and see which of the stations listed were active in 1996. A fair few as it happens. Hi David - great article. Wow, now there is a blast from the past! I remember the enigmatic Derek being mentioned in the 90's on MW(and sometimes SW) on countless occasions. Regards. Hi, Great guy. Any chance you could scan and upload the old Pirate Chat mags? Lost all mine years ago. I was thinking maybe I should do that. I will see what I can do! Great to hear Derek is still DXing.